Prime Minister Stephen Harper has unequivocally maintained he had no prior knowledge about the infamous $90,000 cheque his former chief of staff cut to embattled Senator Mike Duffy. But a new poll suggests most Canadians don’t think he is telling the truth. An Ipsos Reid survey conducted for CTV News reveals that just 13 per cent of Canadians are convinced the prime minister had “no knowledge of the gift and was deliberately kept in the dark” by his former right-hand man, Nigel Wright. The poll also shows 44 per cent of respondents aren’t sure whether or not Harper had any knowledge of Wright’s “monetary gift” for Duffy, while 42 per cent are convinced the prime minister would have known about the deal. The poll also reveals 44 per cent of respondents want the Senate expense investigation to be in the hands of the RCMP, 31 per cent want a public inquiry led by a judge and just 6 per cent think the Senate should investigate the matter. As for the Senate itself, 43 per cent believe it should be “done away with completely,” 45 per cent want it reformed “to make it, for example, an elected body” and 13 per cent say the Senate should be kept as is. The poll was conducted between May 27 and 28 with a sample of 1,009 Canadians from an online panel. It is considered accurate within 3.5 percentage points. 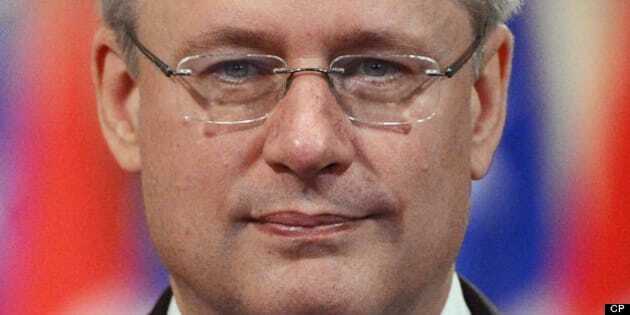 It’s clear the Senate expense scandal has been a massive headache for Harper, who on Thursday was again asked about the affair at a press conference with Chilean President Sebastian Pinera. Harper maintains that he only learned of the payment on May 15 and, if he had known about Wright’s plan earlier, would have told him not to do it. Opposition parties have been hammering the Tories about the scandal for weeks now. NDP Leader Thomas Mulcair won rave reviews for his prosecutorial approach in question period on Tuesday, where he did away with talking points and instead unleashed a series of direct, pointed questions. The Duffy saga took another strange turn on Thursday when CBC reported that Duffy had asked for a cabinet post in 2009, with the perks of a car and staff, plus an “expanded role” in the Conservative party. Toronto Star columnist Tim Harper suggested on Friday that Conservatives worried about their own reputations are throwing Duffy under the bus — and will soon do the same to Senator Pamela Wallin, whose expenses are also being audited.